China Cubilose University established on 10 October 2017, there are currently 2400 amount of scholar registered. China Cubilose University (China Cubilose University) - CCU is China's first bird's nest academic internet university founded during the booming development of China's mobile web. The founders have prestigious background such as China Medical Pharmaceutical Material Association, the Bird's Nest Association, experts and scholars in the bird's nest industry for more than ten years, the Internet professionals, and the media industry expert. China Cubilose University was officially established on 10 October 2017, Currently, there are more than 2,400 registered colleges, covering 27 China provinces and five overseas countries including Vietnam, Thailand, Malaysia, Indonesia, and the Philippines. In order to fully strengthen the “Belt & Road Initiative" (B&R) , a group of health experts went back to the Silk Road at the end of March 2018, and went to source the bird's nest origin – Malaysia. An in-depth field trip was explored to discover the source of the bird's nest. Throughout this journey, it is able to find out the habit of swiftlet growth and reproduction. They visited Kuan Wellness bird's nest processing factory in Malaysia, went to the Malay State Organisation Veterinary Bureau to participate in training, and exchanged the wisdom with the authority of the Bird's Nest Association to promote cultural exchanges between the two countries and bring back right principle and knowledge to China. Kuan Wellness is one of the top eight companies that have won China's approval to export bird's nest in Malaysia. 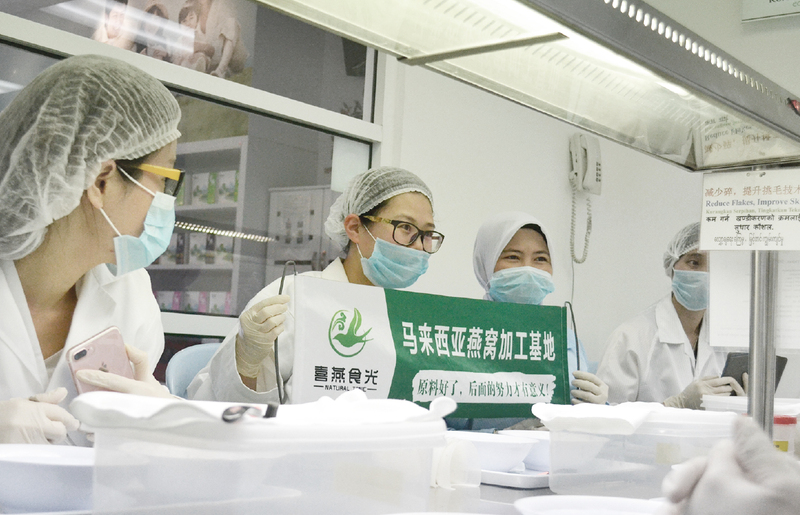 Apart from that, it is the first company that received the ISO22000 international food safety management system certification for the bird's nest cleaning factory. Kuan Wellness also conduct a comprehensive demonstration of the company's relevant circumstances to the delegation, so that everyone has closer communication, understand the bird's nest and the entire industry structure & prospectus. Kuan Wellness provides a comprehensive platform for China partners to experience and learn about Swiftlet Ecology. China Cubilose University hereby authorizes Kuan Wellness as Swiftlets Farm Learning and Training Base.